Prompted by the new #52Ancestors challenge for 2018, I decided to revisit one of my favourite brick wall ancestors, my second great grandfather Arthur or is it George? Courtenay or Courtney? He is the father of my mothers grandmother Abigail (Courtney) Roberts who was born in 1871 in Woolwich, Kent, England. It was this mystery that got me ‘started’ in genetic genealogy. In 2010, I thought I may have solved the mystery through traditional research and wanted to test my theory via DNA testing. At the time, I had expected some instant ancestors. How naive that was! Nearly 8 years on and I am still no closer to identifying him. You can read about my many possible theories on his profile at Wikitree. 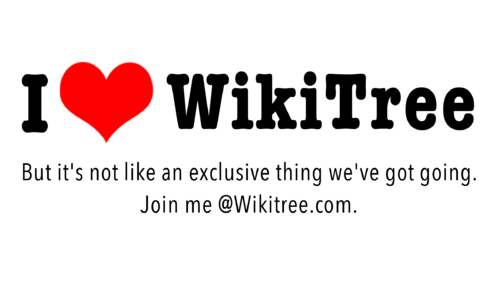 To access this tree at Wikitree, please click here. The first record of Abigail’s father is found in the 1871 Census where the family was living at 14 Sun Street, Woolwich, Kent, England. His name is recorded as Arthur G COURTENAY aged 30, born in Marylebone, Middlesex, England. This suggests he was born in about 1841. He is listed as the head of the family living there with wife Abigail (nee Paice), three daughters and a visitor nurse in attendance Ann Muggeridge who was also born in Marylebone, Middlesex, about 1821. The census was taken on 2nd April 1871 and at that time he was unemployed, but his usual occupation was stated as a labourer in a brass works. The three daughters present in 1871 are 3 month old twins Abigail and Alberta, plus older sister Edith aged 3. Research suggests that Edith is an illegitimate daughter of his wife Abigail, born December 1867 so presumably from a previous relationship. And who is Nurse Ann Muggeridge? She holds particularly interest for me given she was born in the same place as Arthur G, could she be a relative of some kind, there to help with the newborn twins? Both Abigail and Alberta’s births were registered on 28 April 1871 stated as being born on 26 Mar 1871, which is slightly inconsistent with being 3 months old on census night on 2 April 1871. On the birth certificate their fathers name is recorded as George William COURTNEY, a silver and brass moulder. Their mother Abigail was the informant, so it is perhaps more likely that this might be the correct name of their father. The twins were baptised at St Mary Magdalene, Woolwich, Kent, England on 28th May 1871. In this record the fathers name is once again stated as Arthur George COURTNEY, Brass Founder. Arthur is not found with his wife Abigail in any earlier or later censuses, or anywhere for that matter! Nor can a marriage be found. Neither Arthur nor Abigail senior nor Alberta can be found in the 1881 Census – where could they have gone? In 1881 daughters Abigail and Edith are away at school in Holdenhurst, residing with a family named Brown. By the time of the 1891 census Abigail is listed as a widow. Had Arthur died or was this a way for Abigail to explain her circumstances having perhaps never married and then deserted? The only remaining record is that of his daughter Abigail’s death in Australia in 1925, the information was provided by grandson James George Roberts so it may not be entirely accurate. In this record Abigail’s father is recorded as being George Arthur COURTNEY, a civil engineer. No trace can be found of her twin Alberta, it is also unclear when/where she died. Interestingly, both Abigail’s sons were given middle names from her father, did she know him during her life? So is he George or Arthur, or even possibly William? Is his surname Courtenay or Courtney? For the purposes of the rest of this post, I plan to call him ‘George’. Other anecdotal evidence from family stories may be relevant, or not? My grandfather Edward Arthur Roberts states in his memoirs that his mother had some Irish in her make up which is presumed to have been a reference to her paternal line – could George have been of Irish descent? My grandmother, Mona (Murphy) Roberts when asked by her children where in the South of Ireland their ancestors came from, the response was ‘Waterford and Wexford’. Her ancestors – the Murphys, came from Wexford. Could it be the Courtenay’s on their fathers side that came from Waterford? My mother always said that the Courtney’s were talked about as being a bit ‘better’. Did that mean more educated and upper crust? Could they have been gentry of some sort? Could Arthur George ‘COURTENAY’ – the name originally listed in the 1871 census, somehow be connected to the Courtenay’s of Devon or perhaps the Courtenay’s of Ballytransey, Cork? YDNA – In the 1891 England Census, Georges wife Abigail is recorded as living with her grandson Albert COURTNEY aged 4. I lived in hope for many years that this might also be a grandchild of George and that a YDNA test by a male descendant might be possible. Unfortunately, Albert Edward COURTNEY was found to be the illegitimate son of Edith Courtney, the half sister of twins Abigail and Alberta. As such he would only share DNA with ancestors of their mother Abigail Paice, not George Courtney. Tragically, Albert died on 12 Oct 1918 in Syria World War 1, leaving no descendants. I know of no other Courtney direct line male descendants. mtDNA – As we don’t know anything about George’s siblings or parents we have no potential testers for a mitochondrial DNA test – yet! atDNA – Since my initial test in 2010 there are now 7 descendants of George and Abigail who have taken autosomal DNA tests. To date, only the ancestry of Abigail’s mother has been able to be confirmed. Three of George’s great grandchildren, the ROBERTS siblings, have now been tested enabling the technique of Visual Phasing to be employed. This method is being utilised to identify all the chromosomal segments that were inherited from Georges’s daughter Abigail Courtney and provides the best hope for tracing his origins in the future. Two first cousins, Sharon and Jon, whose shared ancestors are William Thomas FOSTER and Ivy Thomas WESTON share DNA with my family on a number of chromosomes, including chromosomes 4, 5, 9, 10 plus the X chromosome. It is disappointing that no one in my family triangulates with both cousins on the same segment, however all our matches are in segment areas where these two cousins don’t share any DNA, so it is entirely possible that due to the random nature of DNA inheritance that these segments could still all have be inherited from the same common ancestor. The Roberts siblings only have one paternal 1st cousin once removed who has tested that could have inherited Courtney DNA. He does match Sharon on chromosome 9, but we currently have no way of confirming which of the paternal lines they match on. Jon however matches my mother on the X chromosome. Visual Phasing of the X chromosome confirms that the segment shared with the Jon was inherited from George’s daughter Abigail Courtney. Due to the unique inheritance characteristics of the X chromosome, Jon could only have inherited the segment from a limited number of his maternal ancestors. After some initial research, imagine my surprise when Sharon and I found Ann Muggeridge the nurse in attendance in 1871 (nee Webster, aka Ann Rudd), in Jon’s direct X chromosome inheritance path! Surely, Ann must be a relative of some kind? 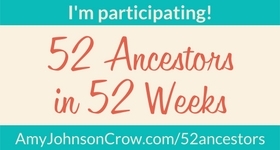 I’ve tried to contact other matches who triangulate on these segments, but there aren’t many and those who do either don’t reply or don’t know much about their ancestry. Sigh, how disappointing! If there is anyone out there who knows more about Ann or her relatives, and/or any possible connections to my George Courtney, I would love to hear from you! As always, I am continuing to pursue possible theories associated with traditional genealogical research. Whilst back in 2010 I was convinced that George Courtney of Shoreham, Sussex was my ancestor, today I am not so sure. The following leads seem more likely – what do you think? Henry Courtney – In 1881 George’s daughter Abigail and her half sister Edith are found living with William BROWN in Holdenhurst, Hampshire, England It is unclear where her parents and twin sister Alberta have gone, as none can be found in the 1881 census. In the small village of Holdenhurst there is a family of older female Courtney’s living there is 1881. Could these be relatives of some kind? These females are of the age to possibly be aunts of George. Their heritage is traced back to Ireland to parents Henry Courtney and Sydney Gosselin from Dublin, Ireland. Henry’s mother was Anna Marie D’Olier. The D’Olier family are known Huguenot emigrants to Ireland and one of their ancestors was said to have been imprisoned in France during the French Revolution. My grandfather Edward Arthur Roberts was well known for his story that one of his ancestors was imprisoned during that time, a story that was often treated with much chagrin from his children, suggesting it was more likely that his ancestors were one of Madame Defarge’s compatriots! Could there be some truth in this story? George Courtney– this George was born in Middlesex in 1843, he is married to a woman named Sarah, living in Staffordshire and working as a brass dresser in 1881. Could this be him? Could he be connected to Henry in some way? Of course, there is also still George Courtney from Shoreham Sussex born 1842, who was my original suspect due to a range of circumstantial evidence. This photo is believed to be George’s daughter Abigail Courtney at school in England. Could it have been taken in Holdenhurst? She’s said to be the one with the scarf around her neck near the tear on the bottom left hand corner. George Courtney continues to be a brick wall for me, I’ve chased down every possible George and Arthur I could find – they are all on Wikitree. Can you help? I would love to hear from anyone who has any ideas about how these families might be connected. Of course, contact from any potential DNA testers of descendants of any of these families would also be welcomed. If you can help please do not hesitate to contact me via this blog or via private message at Wikitree. What a start to your 2018 blogging! I’d like it to have the French connection…..